Book Ross Bentley for a fun, engaging keynote talk, seminar, or at-track workshop. If the popularity of my seminars are any indication of how effective they are, you’ll be asking me back. That is what’s happened many, many times. And that’s okay, because I have an almost endless number of topics and amount of content – which means you can count on your audience getting exactly what they want. 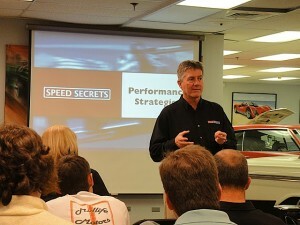 A couple of hours, a full day, or two-days in length, the seminar topics are typically Inner Speed Secrets (click for more details), Advanced Driving Techniques, Common Driving Errors or Instructor Training. Usually, these are done in a meeting room, for a couple dozen to over one hundred participants, but I’ve also integrated them into at-track sessions. The common denominator in all of my seminars are that they are a balance of education and entertainment. Whether for drivers or instructors, my at-track workshops combine classroom and on-track activities in a way that “drives” home the learning. Typically, these are some combination of coaching and my other presentations; all are custom-designed to suit your needs. Car clubs, race teams, and corporate event organizers have relied on what others have described as an “engaging content and delivery style” (I have no idea how I managed to develop that style – all I know is that I talk about what I love!). 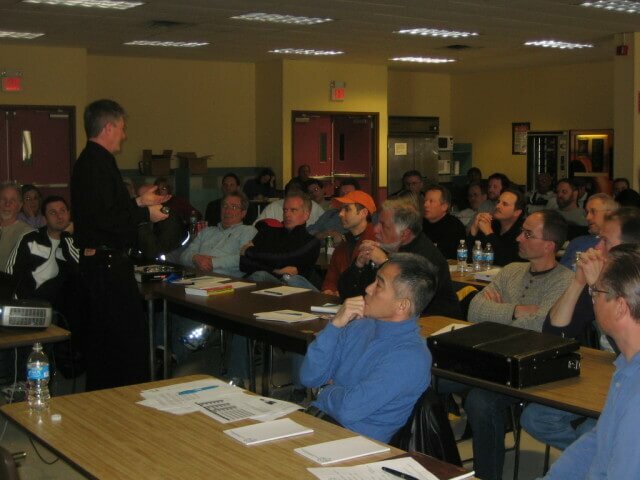 Here are just a few of the most popular seminars that I conduct. What’s really driving your car? Your brain, right? 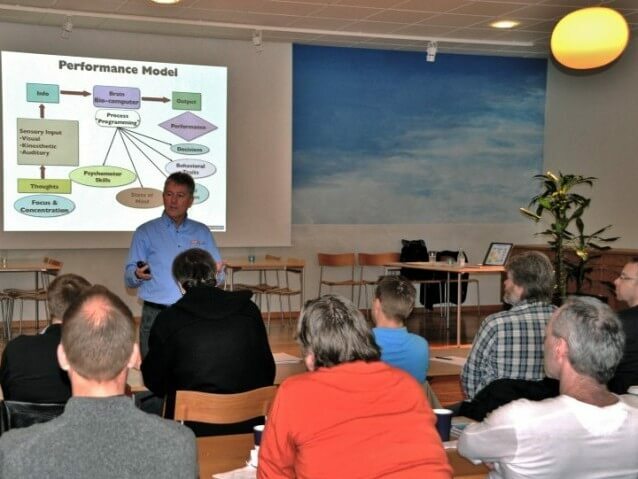 In this presentation – my most popular – participants will come away with an understanding of how the performance or race driver’s mind works, and what specific strategies they can use to improve their mental performance. In fact, in this interactive seminar, they will learn how to improve their decision-making, sense the limits of the car better, learn tracks faster, trigger a performance state of mind, maintain concentration, and get into the zone more often. I pull from my 30-plus years of experience in instructing and training instructors in this seminar; not only providing the theory behind great instructing, but delivering specific tools and techniques that instructors can put to use immediately. With the recent release of my “Brake, Brake, BRAKE: The HPDE Instructor Manifesto” free eBook (HPDE-Instructor-Tips.com), this has become a very popular seminar. Participants will learn how to bring out the best in their student, keeping them safe, happy, and fast. What do you do with drivers who have been through your DE sessions multiple times? 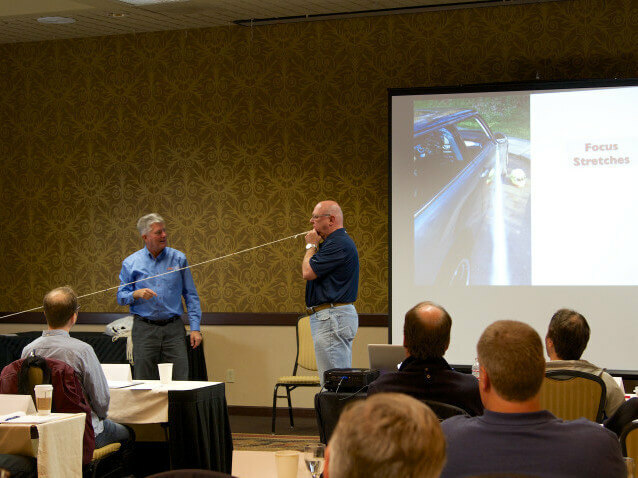 If you want to keep them engaged and learning – and coming back for more – let me present my Advanced Driving Techniques seminar. 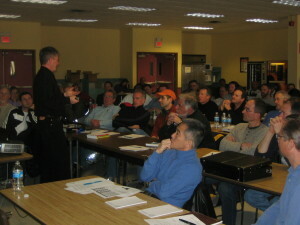 Topics include the End-of-Braking Point (when and how to release the brakes), trail braking, the Change-of-Speed problem, when to tune your car before your driving, advanced vehicle dynamics, what the slip angle really means, identifying the most important corner on the track, and self-coaching techniques. Typically presented in conjunction with one of my other presentations, the Common Driving Errors seminar always hits home with drivers of every level. Topics include how to identify errors, the impact of not using all the track, strategies for going faster, the brake release, the entry understeer-exit oversteer problem, why drivers lack feel for the limit, relaxation techniques, and losing one’s focus. I don’t just identify these errors – I provide strategies for fixing them (often, before they happen). What do you charge for your presentations? Track Programs: Custom priced depending on content and length of the program. NOTE: Ask about custom-designed and priced programs. Payment Policy: We require a 50% deposit to lock in a date. We will invoice for the balance and travel expenses after the event, and expect payment within 15 days of invoicing. Attendance at past car club seminars have ranged from 40 to 200 participants. The maximum number is usually limited more by the room in which it’s taking place. In other words, it’s up to you! If we have you do a seminar, what are we responsible for? I will create all of the content for the seminar, arrange my own travel (coordinating it with you), and present the seminar. You will be responsible for arrangement and payment for an appropriate meeting room, any refreshments/lunch, marketing, registration, and audio-visual equipment. What requirements do you have for the meeting room? For a day-long seminar, comfortable seating for participants is important, as are the acoustics in the room. Hotel meeting rooms work well, although I have conducted seminars in auto dealer service areas, reception halls, and of course, in at-track classrooms. I typically use PowerPoint to support my presentations (don’t worry – no “death by PowerPoint”! ), so I require a projector and screen (I’ll bring my own laptop). With notice, I can bring my own projector (but I prefer to travel light…). While I prefer to not use a microphone (if the acoustics in the room are acceptable), it’s recommended to have one on hand, in case it’s needed. If needed, a lapel microphone is best (holding a microphone all day is not ideal!). How long is a seminar? Typically, these start somewhere between 8:00 and 9:00 a.m., then finish up between 4:00 and 5:30 p.m. The exact time/schedule is something we can discuss and confirm, but I will rely on you to make suggestions based on your knowledge of the attendees, location, and past events you’ve held. Having said that, I’m here to work with you and give as much as I can in my time with your club. In other words, get your money’s worth out of my attendance. Can we combine events, like a seminar with on-track coaching, for instance? Absolutely. If you have an idea of what you’re looking for, let us know. I’m happy to custom-design a program for you. If I didn’t answer all of your questions, feel free to email me anytime.